Before scrolling down and reading the blog below (where you will discover many truths about gluten), I want you to take a few moments to think about what exactly gluten is. I’m not asking you to think about what foods contain gluten. I’m also not asking you to think about what symptoms are caused in some people when they eat gluten. I just want to know, what the heck is gluten? So what the heck is gluten? Gluten is a fancy word for protein coming from grains like wheat, barley, and rye. You heard that right! It’s protein. In fact, gluten is made up of two smaller proteins named gliadin and glutenin.1 It’s actually the gliadin that appears to be the culprit that causes so much trouble for people with Celiac disease. What about corn? Does it have gluten? You will come across many reputable human medical websites listing corn as a “gluten-free” food. To the contrary, pet food ingredient lists will refer to the protein coming from corn as “corn gluten meal”. Confusing, I know! Let me break it down for you. The protein in corn is not the same as the gluten found in wheat, barley, and rye.2 So people with Celiac disease are free to enjoy corn on the cob! Fun fact: Corn gluten meal in pet food is a great source of nutrition because it contains amino acids that are required by both dogs and cats (e.g. methionine and leucine). Why do some people need to avoid gluten like it’s the plague? When people diagnosed with Celiac disease ingest even the tiniest amount of gluten (e.g. a crumb left on the butter dish after using a knife, baked on flour in the corners of muffin tins, teeny crumbs left in the toaster oven, etc.) this causes inflammation in their gut and has disastrous consequences. The gut, specifically the small intestine, becomes damaged and unable to properly absorb nutrients from food, including vitamins and minerals.5 As a result, people with untreated Celiac disease commonly have chronic diarrhea, anemia, weight loss, fatigue, and other autoimmune diseases. Is there a cure for people with Celiac disease? There is no cure.1 The only treatment for people with Celiac disease is to avoid gluten for the rest of their lives, which is much easier said than done! Want to know how incredibly challenging it is to avoid gluten? Check out this list from the Celiac Disease Foundation. How is Celiac disease diagnosed in people? Right now the gold standard for diagnosing Celiac disease is to take biopsies of the small intestine.1,3 I’ll be honest, when my own biopsies came back negative I was beyond relieved. I was relieved to the point that I began confessing my love for gluten to my doctor. . . actually all things made with gluten (mmmmm pizza crust). This also meant I did not have to replace everything in my kitchen that had been exposed to gluten countless times (major cross-contamination!). Celiac disease is a really crappy autoimmune disease and I empathize with anyone dealing with it! I can also completely understand not wanting to have a gluten-containing pet food in your home as this would increase your risk of exposure. Unfortunately, cross-contamination also occurs in pet foods during ingredient storage and the manufacturing process. This means that foods that do not contain gluten sources on the ingredient list may actually have traces of gluten if they were made in the same machines as foods containing wheat, barley, and/or rye. Important Point: Over the counter foods that say “no wheat” or “gluten-free” could be cross-contaminated with gluten. My resident-mate conducted a very small study on over-the-counter pet foods with “no soy” claims and 75% of the diets contained soy proteins. In fact, two of the diets were over the highest limit of detection! She speculated this was due to accidental cross-contamination and that the soy proteins were not added on purpose to these “no soy” diets. New metal bowls and metal scoops are purchased when starting the food (i.e. old plastic bowls or food scoops will have residues from prior pet foods). In order to make these highly specialized veterinary therapeutic diets all manufacturing must stop and the machines must be cleaned from top to bottom to get rid of any potential for any cross-contamination. The machines, ingredients used to make the food, and the finished products also need to be tested to ensure they are free of cross-contamination (e.g. DNA testing is one example). Some of these specialized diets come with matching treats that undergo the same process. Speak with your veterinarian for more info! What about gluten sensitivity in people? Basically the bacteria in the gut ferment these fibres, which leads to flatulence, bloating, cramping, and diarrhea. For more info on FODMAPs and the foods that contain FODMAPs (e.g. beans, wheat, dairy, etc.) check out Harvard Medical School’s summary. Hopefully more research will sort this out! Do dogs and cats get Celiac disease like people do? No. Fortunately, no. I’ve spent a lot of time searching for scientific articles on PubMed for both “gluten” and “cats” and all I came across was an old review paper on GI disease that talks about feeding “gluten-free” diets in pets with chronic diarrhea; however, this review contains outdated information as it also discusses “bowel rest” (i.e. fasting), which is no longer recommended because it deprives the gut of nutrition needed to heal. 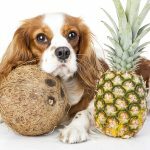 What gluten-related diseases exist in dogs? Gluten Sensitive Enteropathy in Irish Setters: This disease has only been documented in a few lines of Irish Setters and is extremely uncommon. It was first noted in England in the 1980’s. Affected dogs show some similar signs to Celiac disease in humans (e.g. chronic diarrhea); however, the disease is not the exact same as Celiac disease in people. Typically puppies are affected by 6 months of age, have a “wasted appearance”, and do not grow normally.10 Fortunately, many of the affected Irish Setters eventually outgrew the disease if they were properly managed.10 People don’t outgrow Celiac disease. Epileptoid Cramping Syndrome in Border Terriers: This is a movement disorder in Border Terriers (e.g. involuntary tremors). There was one small study conducted in six Border Terriers that responded (i.e. specific antibodies to gliadin in the blood decreased) when fed a strict “gluten-free diet” (unfortunately the diets were not listed in the study). After the study, two dogs were “unwittingly re‐introduced gluten‐containing treats” and both dogs relapsed. Hopefully more research will be done in Border Terriers in the future to better understand this disease. Food allergies occur when the immune system reacts inappropriately to proteins in the diet. 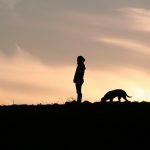 Wheat allergies exist in both people1 and pets (although animal proteins, like beef, more commonly cause allergies than grains in pets), but that is a huge topic for another time. Needless to say, if your veterinarian has diagnosed your pet with wheat allergies using a strict elimination-provocation diet trial (REMEMBER: blood tests don’t work for diagnosing food allergies, so don’t waste your money!) then you must avoid wheat and potential cross-contamination. There you have it. The truth about gluten. Until next time: Keep it balanced and keep it factual! 1 Elli L, et al. Diagnosis of gluten related disorders: Celiac disease, wheat allergy and non-celiac gluten sensitivity. World J Gastroenterol 2015;21(23):7110-7119. 2 The University of Chicago Medicine Celiac Disease Center webpage on Frequently Asked Questions: www.cureceliacdisease.org/faq/does-corn-contain-gluten/ [accessed July 8, 2017]. 3 Canadian Celiac Association webpage on About Celiac Disease: www.celiac.ca/?page_id=882 [accessed July 6, 2017]. 4 Celiac Disease Foundation webpage on Sources of Gluten: celiac.org/live-gluten-free/glutenfreediet/sources-of-gluten/ [accessed July 6, 2017]. 5 Raditic DM, et al. ELISA testing for common food antigens in four dry dog foods used in dietary elimination trials. J Anim Physiol Anim Nutr (Berl) 2011;95(1):90-97. 6 Willis-Mahn C, et al. ELISA testing for soy antigens in dry dog foods used in dietary elimination trials. J Am Anim Hosp Assoc 2014;50(6):383-389. 7 Canadian Celiac Association webpage on Non-Celiac Gluten Sensitivity: www.celiac.ca/?page_id=883 [accessed July 6, 2017]. 8 Guilford WG and Matz ME. The nutritional management of gastrointestinal tract disorders in companion animals. N Z Vet J 2003;51(6):284-291. 9 Daminet SC. Gluten-sensitive enteropathy in a family of Irish setters. Can Vet J 1996;37(12):745-6. 10 German A and Zentek J. The most common digestive diseases: the role of nutrition. In Encyclopedia of Canine Clinical Nutrition, eds. Pibot P, et al. Aniwa SAS 2006:92-133. 11 Lowrie M, et al. The Clinical and Serological Effect of a Gluten‐Free Diet in Border Terriers with Epileptoid Cramping Syndrome. J Vet Intern Med 2015;29(6):1564–1568. 12 Mueller RS, et al. Critically appraised topic on adverse food reactions of companion animals (2): common food allergen sources in dogs and cats. BMC Vet Res 2016;12:9. 13 Olivry T, et al. Critically appraised topic on adverse food reactions of companion animals (1): duration of elimination diets. BMC Vet Res 2015;11:225.